For hard boiled eggs: Place eggs into a pot and pour cold water about 2 inches over the eggs. Next place on high heat and bring to a boil. Once the water begins to boil, set timer for 10 minutes. After 10 minutes, turn the heat off. Then remove the hot water from the pot and replace with cold water. Once the eggs are cool, take out each egg one at a time and gently remove the shell. For Egg Salad: Once the shells are removed, chop eggs and place in mixing bowl. Add mayonnaise, rice vinegar and lemon juice. Mix lightly, then add the parsley, celery, onion, and salt and pepper to taste. 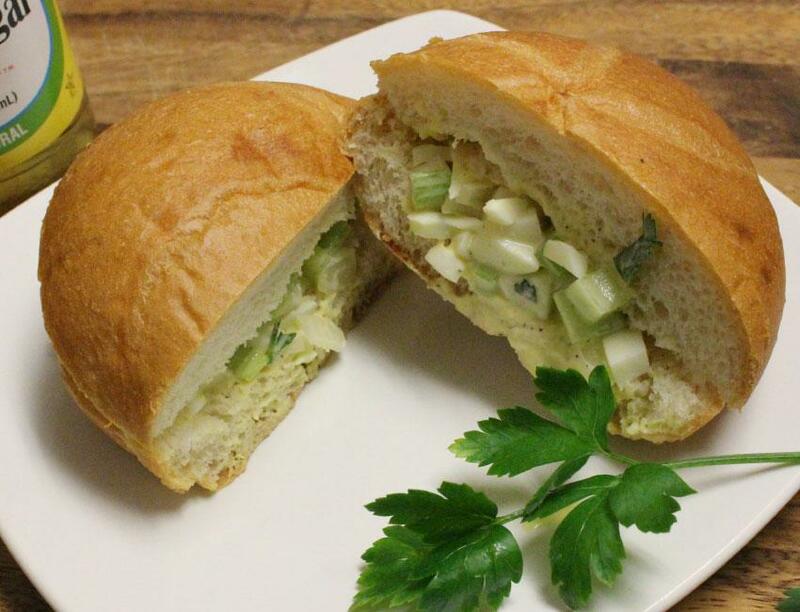 Serve as a side dish or on your choice of bread for a sandwich, enjoy!